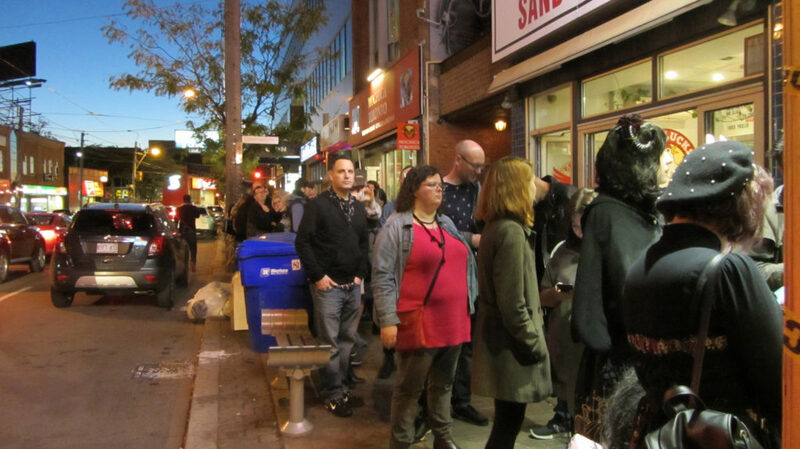 The lineup lengthens as showtime approaches for Synapse Films restored 4K screening of Dario Argento’s Suspiria (1977) at Toronto’s Royal Cinema, Wed. Oct. 18, 2017. 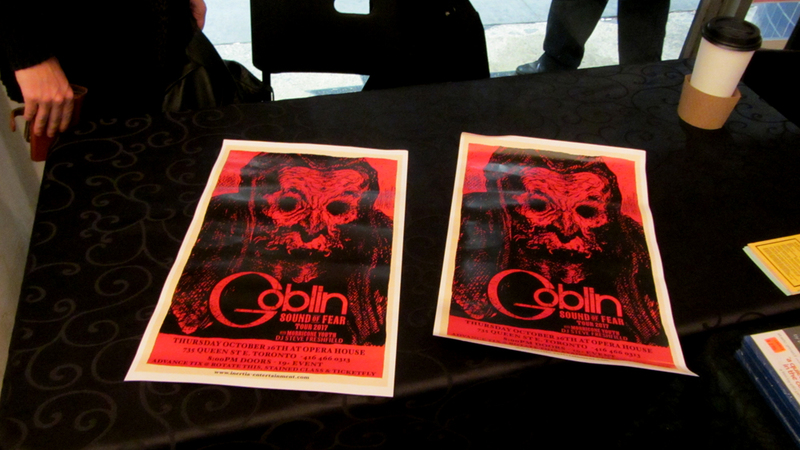 Poster art for Goblin’s concert at the Opera House, Oct. 26, 2017. 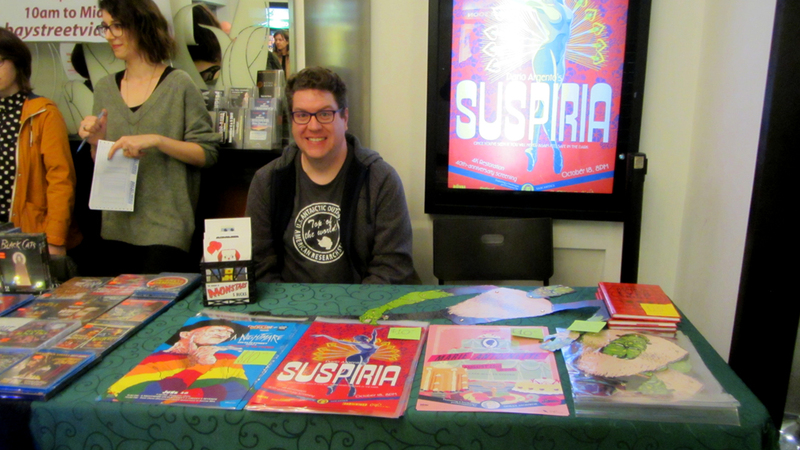 Poster artist Andrew P. Barr (www.apb-art.com), who crafted the striking poster for Suspiria (1977). 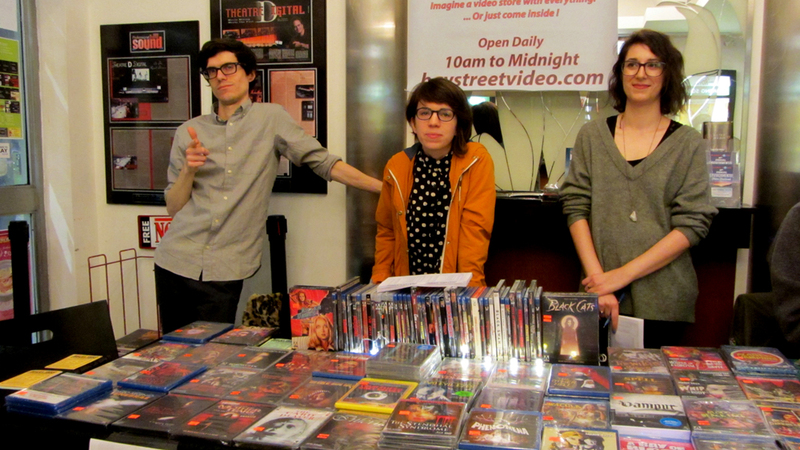 Bay Street Video’s merchandise table at the Suspiria 4K screening at the Royal Cinema. 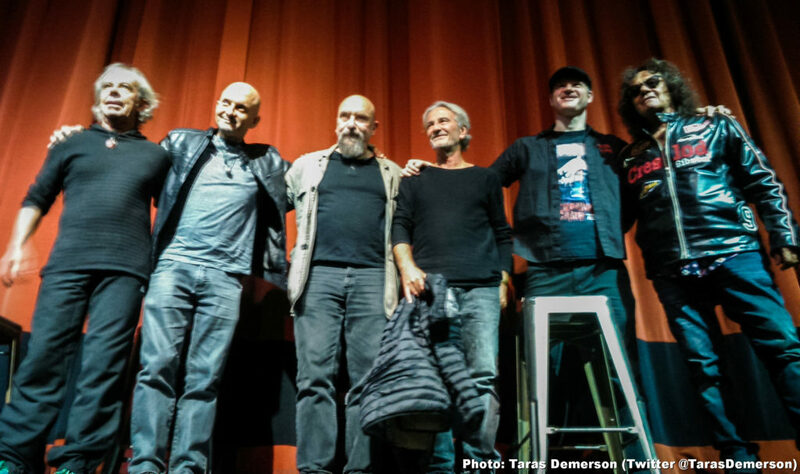 Recorded live at Toronto’s Royal Cinema, this week’s podcast features an edited version of the Q&A with Italian prog-rock and horror masters Goblin, including Maurizio Guarini, Fabio Pignatelli,Massimo Morante, Agostino Marangolo, and Aiden Zammit, and Rue Morgue Magazine’s Aaron von Lupton as moderator. 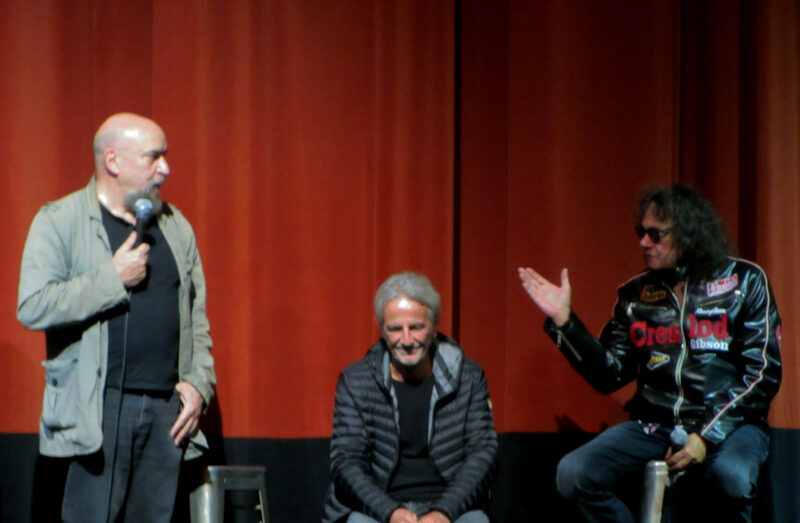 Post-Suspiria 4K Q&A with Goblin (Maurizio Guarini, Fabio Pignatelli, and Massimo Morante) at Toronto’s Royal Cinema, Wed. Oct. 18, 2017. 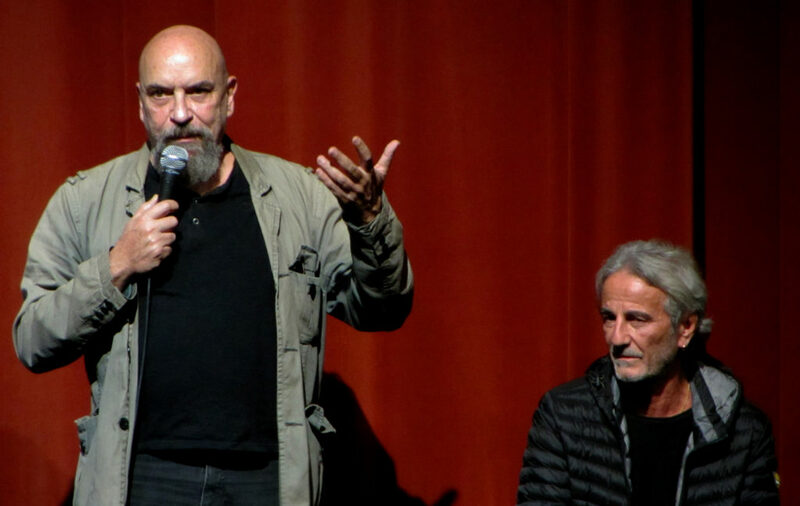 Post-Suspiria 4K Q&A with Goblin (Agostino Marangolo and AidanZammit) at Toronto’s Royal Cinema, Wed. Oct. 18, 2017. 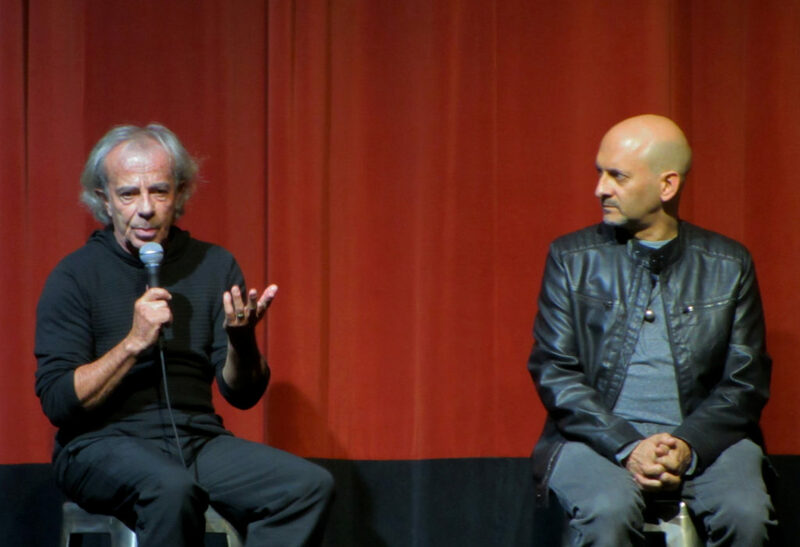 Post-Suspiria 4K Q&A with Goblin (Maurizio Guarini and Fabio Pignatelli) at Toronto’s Royal Cinema, Wed. Oct. 18, 2017. The Q&A was conducted after the Toronto Premiere screening of Synapse Film’s gorgeous 4K restoration of Dario Argento’s Suspiria (1977). The podcast is available on iTunes, Google Play, Libsyn, and YouTube. 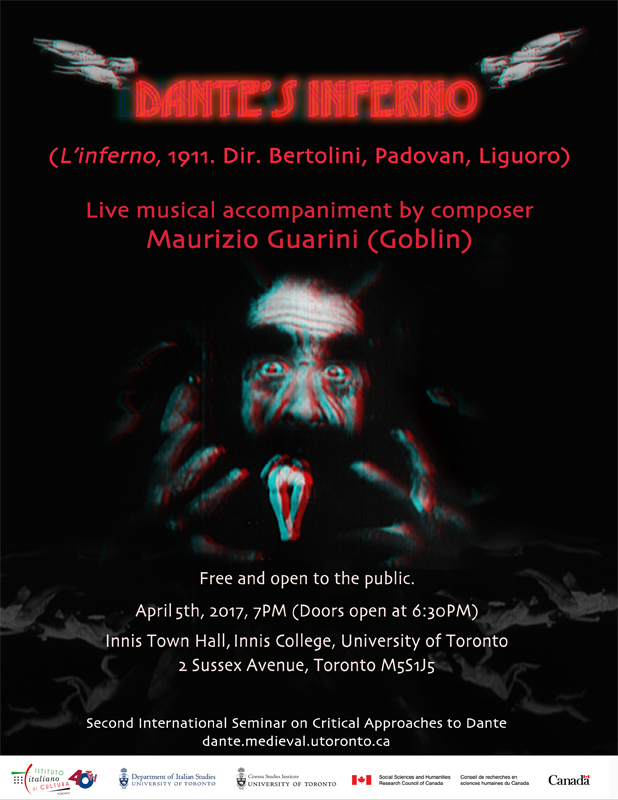 Bookending the podcast are some thoughts on the show, plus details on the upcoming screening of Dante’s Inferno (1911), to which Guarini will be performing his original score live at the Royal on Dec. 6, 2017. I interviewed Guarini back in April, and reviewed the restored silent classic. 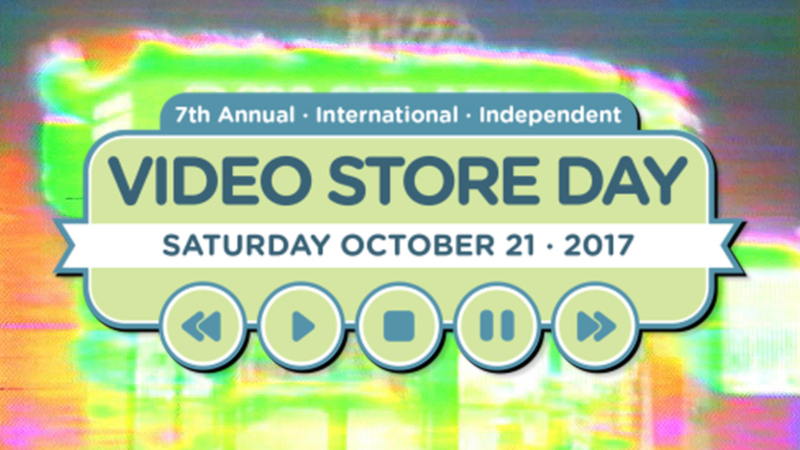 Also of note: starting today, I’m making available for 1 week of free streaming via Vimeo and YouTube my experimental documentary BSV 1172: Your Friendly Neighbourhood Video Store (2016), as a salute Video Store Day, Sat. Oct. 21, 2017. A home video release will follow in late January, 2018.